We all know very well that after a lot of rumors, the tech giant Apple has just introduced the most powerful and evolved version of iPhones, of course, I am talking about the all-new iPhone XS, iPhone XS Max, and the iPhone XR. However, now according to the latest reports, the tech giant Apple’s new iPhones have a nasty, expensive surprise. The tech giant Apple’s newly launched flagship smartphone, of course, the all-new iPhone XS Max is Apple’s most expensive smartphone ever made, with everything it brings. Of course, associated with this price, the tech giant Apple also has high repair values for this model. Yes, these values are actually have now been known and the repair of an iPhone XS Max can cost as much as a brand new iPhone 8 of the tech giant Apple. 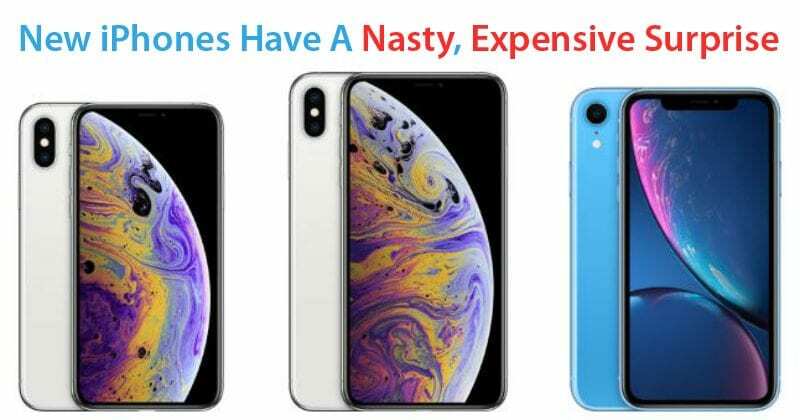 It is well known that in addition to the high prices that the tech giant Apple charges for its devices, its repair costs are also sometimes or you could say everytime high. If in a direct analysis these values cannot be understood, the truth is that when they are compared with others and with the devices of the tech giant Apple itself, they prove to be very high. The proof of this is available on the page of values of iPhone service pricing, which has now been updated to contemplate the new devices of the tech giant Apple that are coming to the market, of course, the all-new iPhone XS, iPhone XS Max, and the iPhone XR. The highest prices are presented with the iPhone XS Max, with a screen exchange costing $329 and what the tech giant Apple designates for other damages to stay for $599 only, yes, only $599. The most curious thing here, which highlights the high cost of the tech giant Apple’s repairs, is that the price of repairing the “other damages” is precisely the price of a new iPhone 8, that can be purchased from the tech giant Apple’s own store only. This smartphone, now with a year of the market, is an excellent choice for many. Curiosity goes even further by comparing the price of this repair with the cost of an iPhone 7, it’s still a perfectly capable smartphone with only 2 years market. The repair of the iPhone XS Max costs $150 more than the current purchase price of the iPhone 7. With repair values ?of this magnitude, it is clear that the repair costs of the tech giant Apple devices are dramatically high. Of course, these devices are currently present in the market as the most modern Apple devices, but still is a value within reach of a few. Now you know, if you have an iPhone XS Max, the best thing is to protect it well.